The practice and theory of Kum Nye is presented in three main books, authored by Tarthang Tulku Rinpoche. Each book provides its own set of exercises and theory, offering practitioners depth and variety in their study. We invite you to begin your own discovery and exploration of this rich and ancient tradition by exploring this site and learning more about what Kum Nye can offer you. Mind and body both seem to need relaxation, especially in today’s world where the business of everyday activities generates much stress. With Kum Nye, we can loosen up the tension connected with this stress and open up the sensitivity inherent in our human embodiment. For more in-depth insight, listen below to a sample line-by-line reading and analysis from Kum Nye - Tibetan Yoga! The Joy of Being emphasizes the inner massage of feeling, using the senses to revitalize our capacities for seeing, hearing, sensing, touching, relishing and cognizing and creates the basis for a satisfying and meaningful life. It is intended to help you feel at home in your embodiment, so you will appreciate your inner treasures and be inspired to cultivate them further. The postures and practices in this book are not exactly massage. They are invigorating rather than soothing, designed to energize the body and to wake up consciousness. These are not precisely traditional Kum Nye postures, but instead are based on temple practices Tarthang Tulku had known as a young man in Tibet. 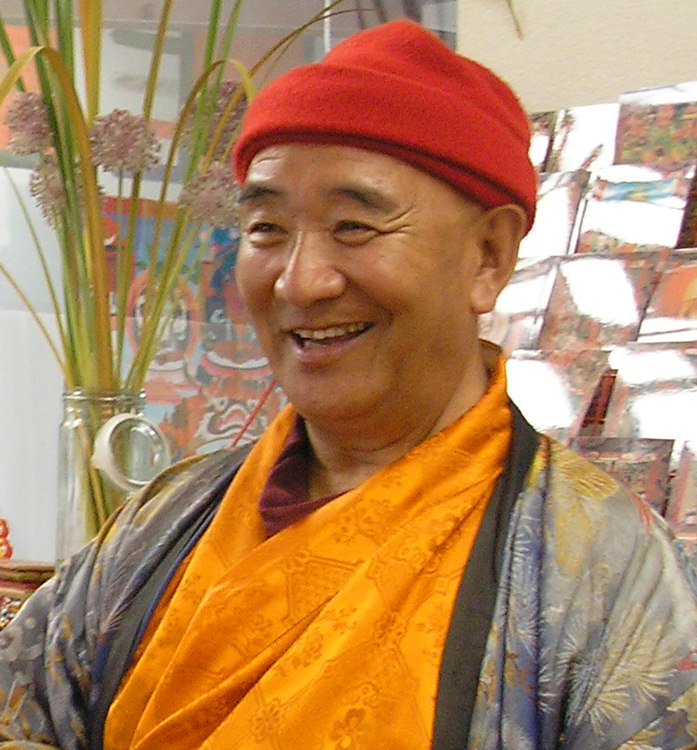 Tarthang Tulku Rinpoche, a traditionally trained teacher and author in the Nyingma lineage of Tibetan Buddhism and Head Lama of the Tibetan Nyingmapa Meditation Center. Rinpoche was born in 1935 in eastern Tibet, where he studied with many of the greatest Tibetan Buddhist masters of the twentieth century. The first lama of the Nyingma lineage to establish residence in the United States, Rinpoche established a mandala of organizations to actualize his long-range vision of preserving the ancient teachings of the Buddha and transmitting them to the modern world. Download more in this extended biography. Arnaud Maitland, JD, MA Tibetan Buddhist Philosophy and Psychology, senior student of Tarthang Tulku Rinpoche, studying and working in Rinpoche’s organizations since 1977. Arnaud is an international retreat and seminar leader and is currently director of Dharma Publishing and Center for Skillful Means. Author of two books, MasterWork – Mastering the Energy of Time and Living without Regret – Growing old in the Light of Tibetan Buddhism, Arnaud currently lives at Ratna Ling, the home of Dharma Publishing and Dharma Press. Learn more on Arnaud's website.